Larry Eigner published over 90 collections of poetry. Mentored by Cid Corman, he was associated with the New American Poets, the Black Mountain School, and the Language poets. His first chapbook was published by Robert Creeley. Recently, Robert Grenier and Curtis Fayville have edited volumes of Eigner’s collected and selected works. Doctor Richard Williams, Mother says, apologized for not measuring her right. If he had, I would have been delivered in the Cesarean way. The doctor told my folks they could sue him for malpractice, but considering the thing an accident or something they let it go… either my mother was too small or I was too big. 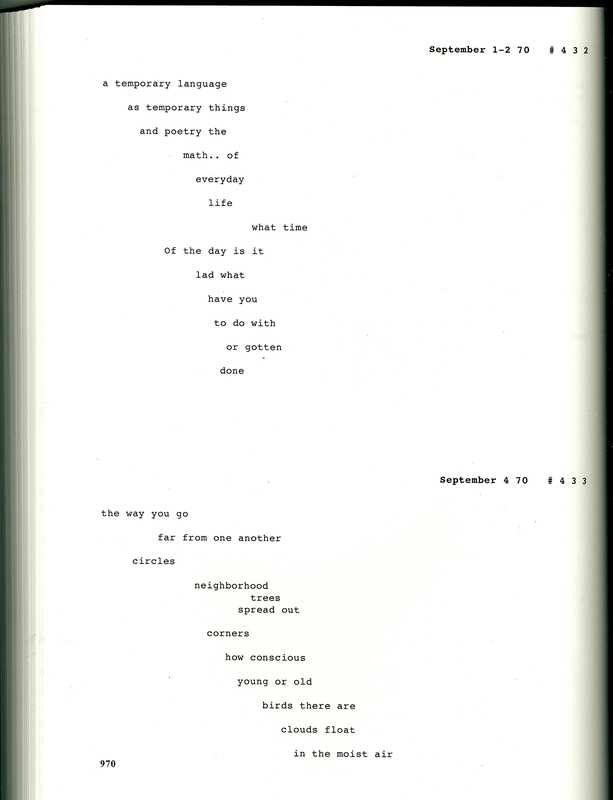 Jennifer Bartlett’s most recent book is Autobiography/Anti-Autobiography (theenk Books, 2014). Bartlett also co-edited, with Sheila Black and Michael Northen, Beauty is a Verb: The New Poetry of Disability (Cinco Puntos Press, 2011). Bartlett has received fellowships from the New York Foundation for the Arts, Fund for Poetry, and the Dodd Research Center at the University of Connecticut. She is currently writing a full-length biography of Larry Eigner (forthcoming from University of Alabama Press).